A lush and colorful plant featuring large silver-green leaves, this plant is happy in areas with little to no light or ventilation. 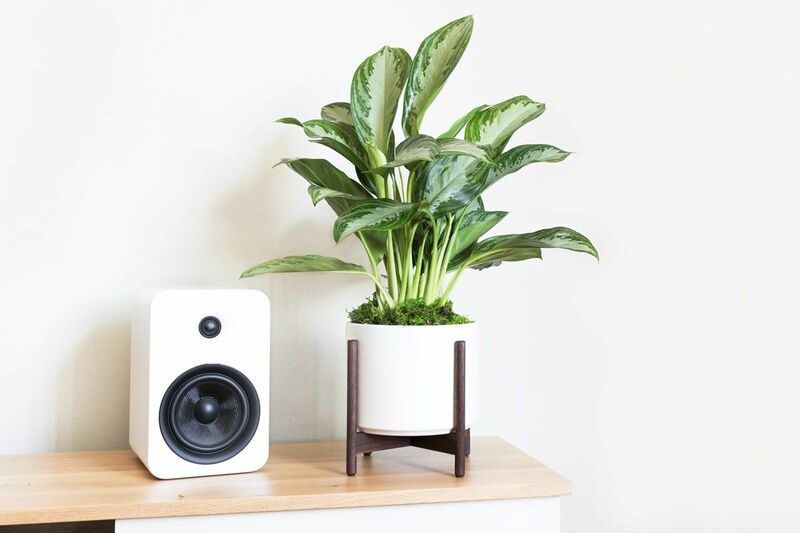 It is listed as one of NASA’s top ten air purifying houseplants. 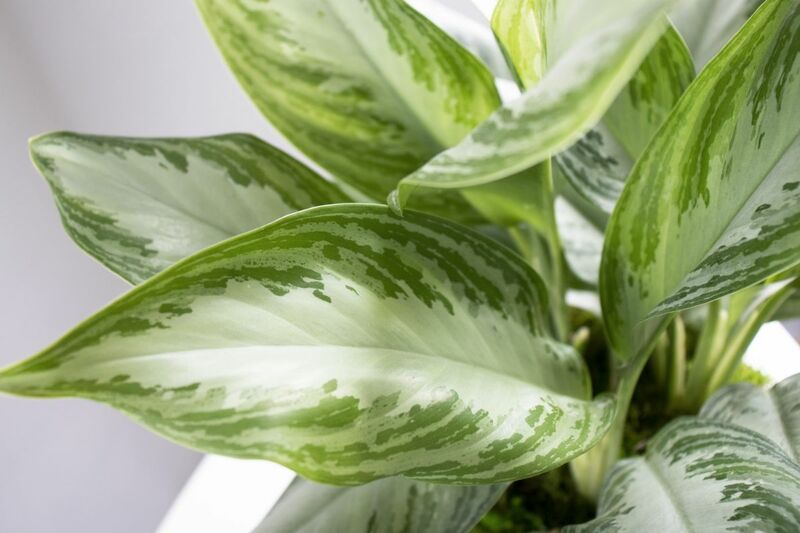 Also known as the Chinese Evergreen, this plant is considered to bring good luck. Discovered in the 19th century, this plant is found growing under the canopy of shady trees in the tropical rainforests of China, Malaysia, Sri Lanka and the Philippines. It comes in several varieties and colors, with the more variegated types requiring more light than the darker green types. Meticulously hand-crafted ceramic cylinders, designed specifically for your plants to thrive. Wood stands handcrafted from reclaimed walnut and finished with non-VOC natural oil. The Silver Evergreen thrives in locations with medium to low light. Brighter light allows the plant to maintain its variegated patterns. The Silver Evergreen prefers its soil to be kept moist, though not drenched. Water about 1-2 times a week, but check the soil’s humidity first. Water around the base and keep away from the center to avoid root rot. As with all plants, avoid overwatering and drain any excess water from the bottom of the pot, as standing water may cause root rot. The Silver Evergreen prefers humidity and does not like to get cold. Yellowing leaves may signify being cold or in need of fertilizer. It is a slow grower. Keep leaves shiny with a damp sponge. Trim away any dead or dying leaves by cutting them off at the base of the leaf's stem with a sharp scissor. Write us at hello@leonandgeorge.com with any questions about your Silver Evergreen not covered here.